At Sabattus Regional Credit Union we’re proud to offer a variety of mortgage loan products to our members. Loans available for purchase money, refinancing, home improvement, and more! The rates displayed above are for qualified borrowers for first-lien mortgages on their primary residence. Rate premium and term limitations apply for other types of loans or properties. Contact a mortgage loan officer for more details. *The Annual Percentage Rate (APR) is based on a loan amount of $100,000; 0 points; 10 days prepaid interest, processing fee and flood zone determination. The maximum loan-to-value (LTV) on our in-house portfolio real estate loans is 80%. Maximum term on second mortgage is 15 years. Maximum term on land loan is 12 years. **Add 1.50% to rate for manufactured homes on their own land. Maximum term is 25 years. Escrow account for taxes and insurance will be required on some mortgage loans, including, but not limited to manufactured homes on land. To inquire about in-house portfolio loans, please contact a mortgage Loan Officer at 207-375-6538 for details. The CU Promise loan is offered by CUSO Home Lending. The CU Promise Loan is a home purchase program offering low down payment options. CUSO is a licensed mortgage company owned by Maine credit unions. The CU Promise loan offers three important guarantees. Same-day Loan Decision, Guaranteed Closing Date, and Guaranteed Loan Servicing. Click here for more information. Apply for a CU Promise loan, here or call a Mortgage Loan Officer at 207-375-6538 to make an appointment. 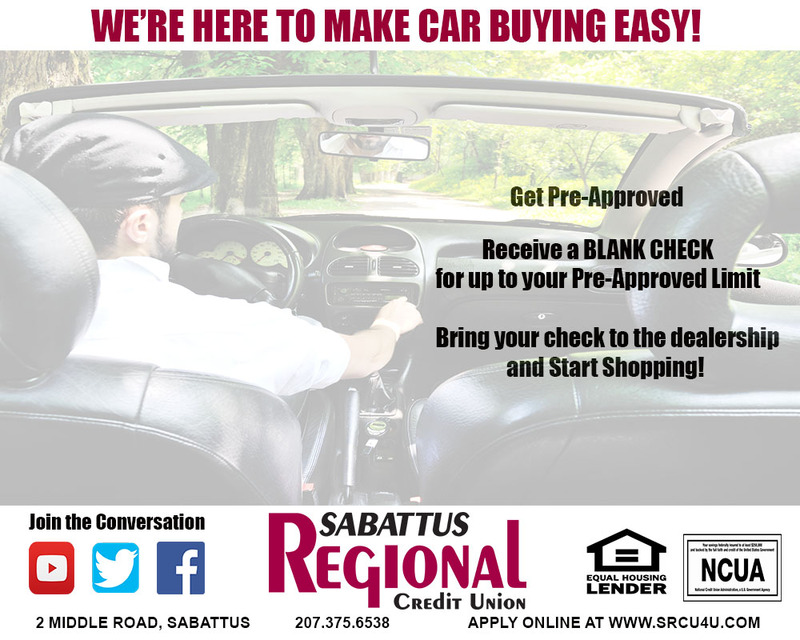 Your Loan Officer from Sabattus Regional Credit Union will assist you through the entire loan process!